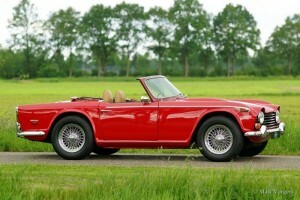 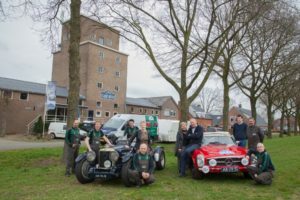 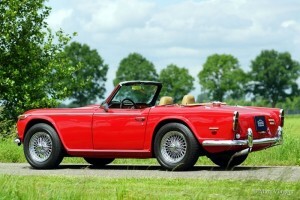 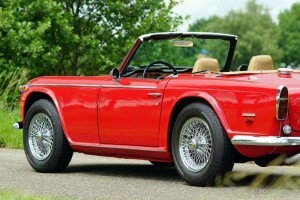 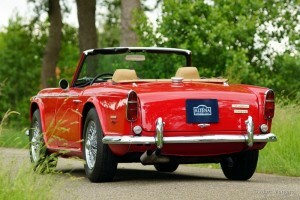 The Triumph TR 5, and the TR 250 for the American market, is the successor of the Triumph TR 4. 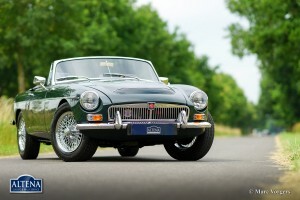 The car came onto the market in the year 1967. 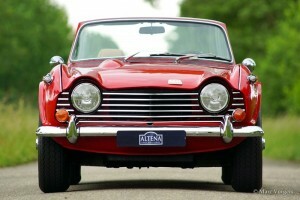 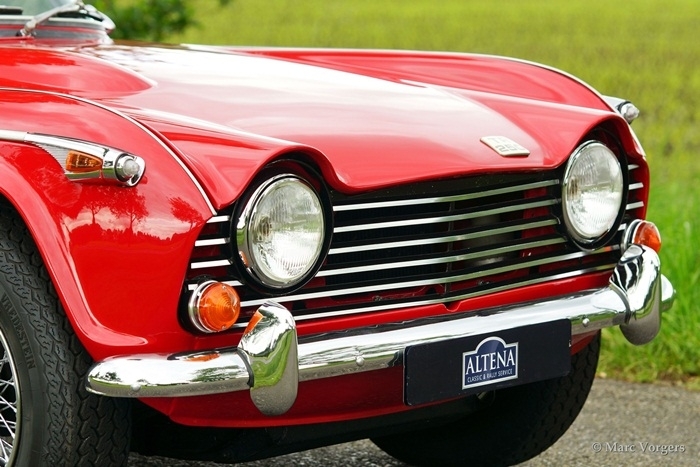 The appearance of the TR 5/ TR 250 was, except for the grille, the same as the last of the TR 4’s, the TR 4 A. 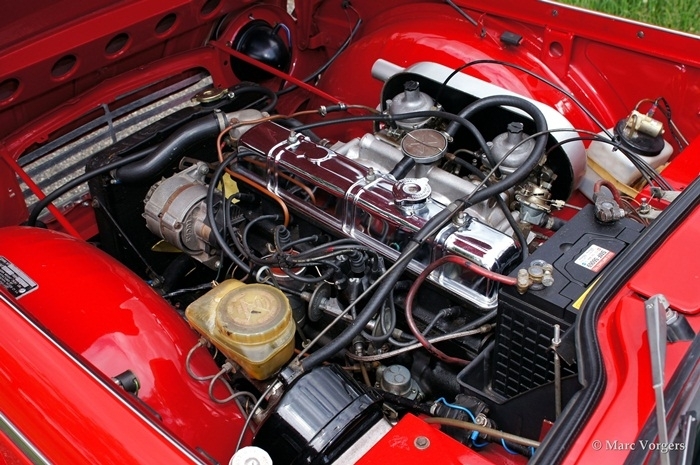 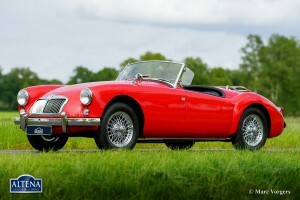 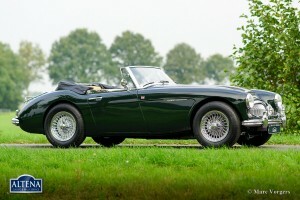 The improvements to the TR concept could be found under the bonnet; instead of a carbureted four cylinder engine the TR 5 shows a cast iron six cylinder engine with petrol injection and a capacity of 150 SAE hp, the TR 250 shows the same six cylinder engine but fitted with dual Stromberg carburettors and 105 DIN hp. 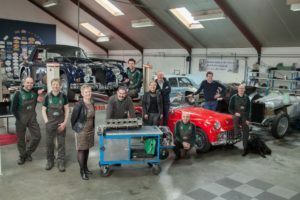 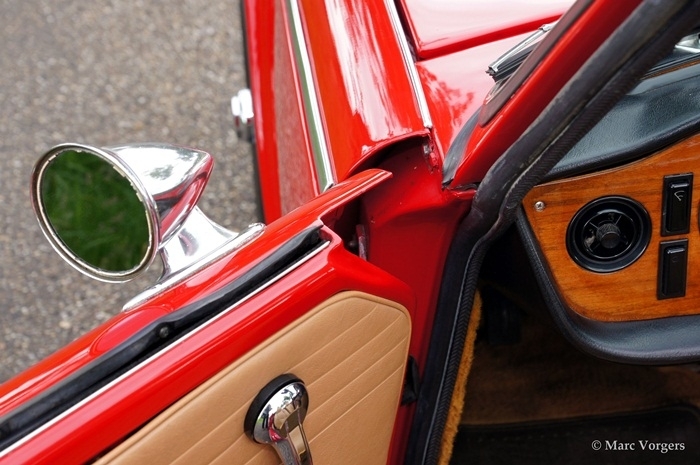 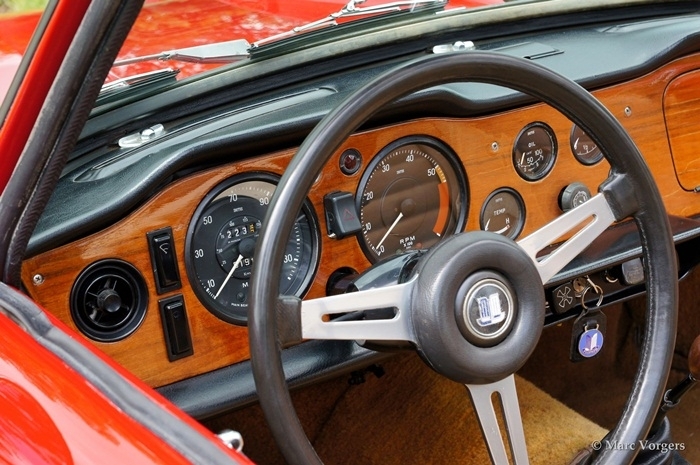 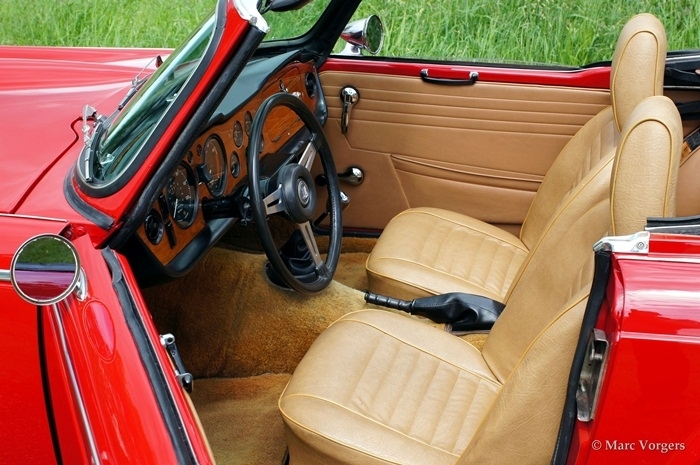 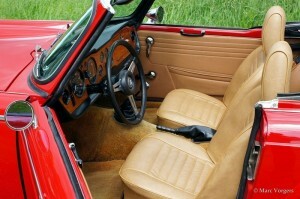 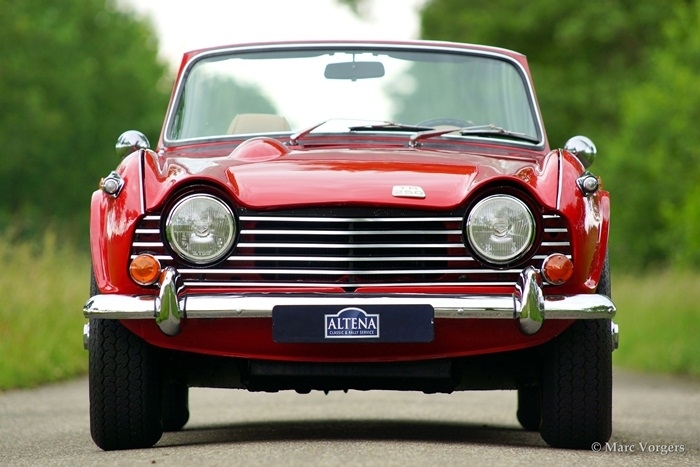 The Triumph TR 5 was the first British production car equipped with petrol injection. 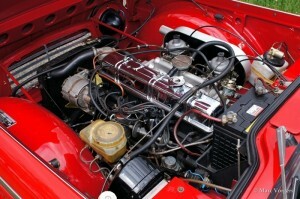 The six cylinder engine originally came from the Triumph 2000 saloon. 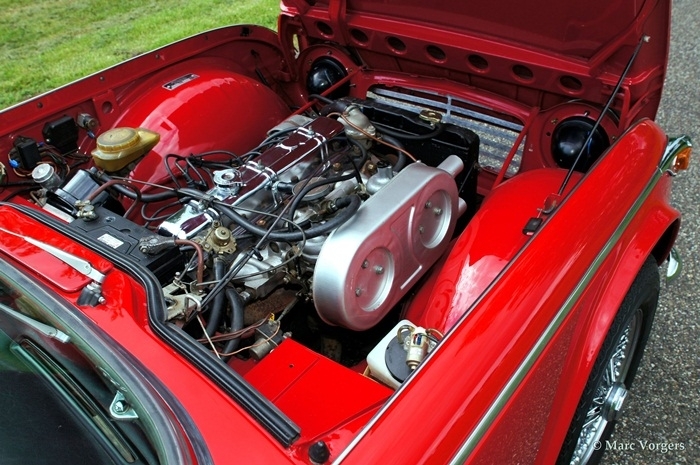 For use in the TR 5/ TR 250 Triumph enlarged the cylinder capacity up to 2498 cc., fitted a more racy camshaft and petrol injection. Result was that they gained 60 bhp. (TR5) to the standard engine, enough for the engine to be used in a sportscar like the TR 5/ TR 250. 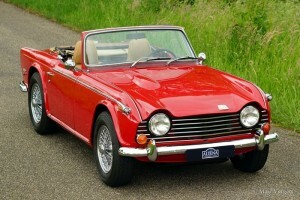 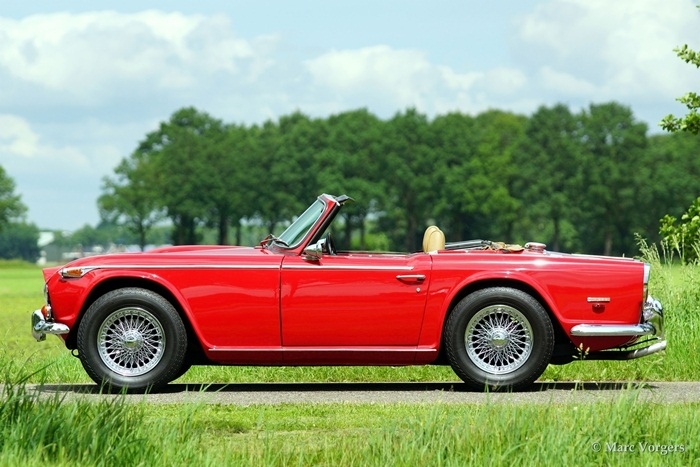 The Triumph TR 5/ TR 250 was produced two years only; during 1967 and 1968. 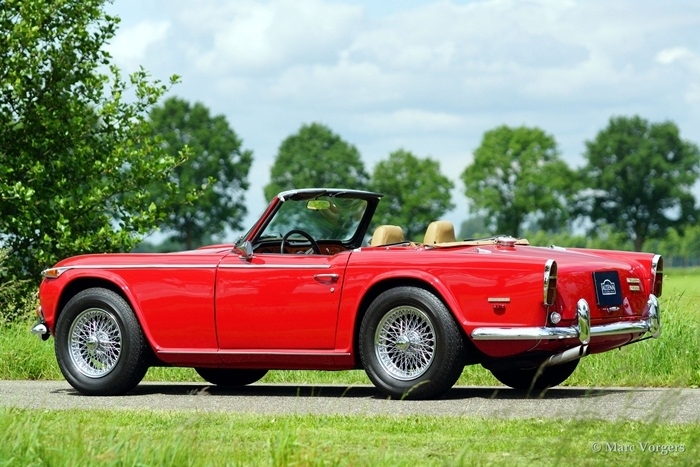 In 1968 the TR 6 made it’s way to the public. In the two production-years only 2947 TR 5’s were produced and 8.484 TR 250’s .